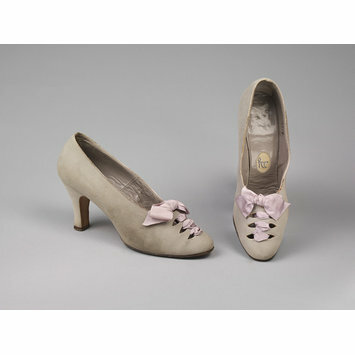 Grey suede court shoes with heel of mid-height and a lavender ribbon laced through perforations at the toe. Lined with grey leather. 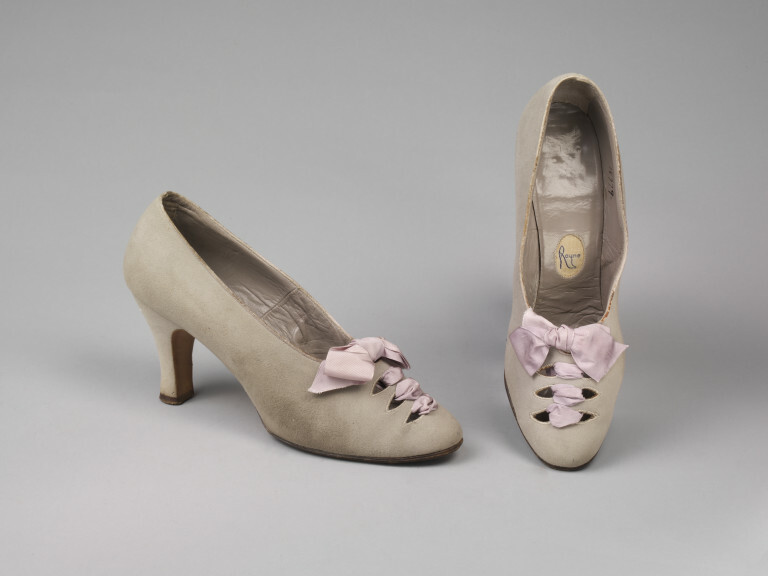 Grey suede with lavender ribbon, Rayne, British, 1930 ca.